Dr. Ashwani Kumar Dubey(FESW, FIASc., FSLSc.) is a Leading Scientist, Environmentalist, Academician and current Researcher, in the beginning of 21st century in India. 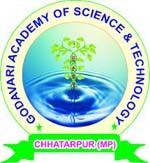 He is serving as Executive Director, Godavari Academy of Science & Technology, Environment and Social Welfare Society, Chhatarpur 471001 India. He is dedicated to Environment, Education, Art and Sciences & Technology entire India since bi-millennium. And he has delivered 6327+ Academic Lecture on relevant topics of Life Sciences and a distinguished fellow of the learned societies. He has born in Village Nahdora near world heritage Khajuraho in July 01, 1970. He is a graduate & Post Graduate of Government Maharaja College, Chhatarpur Madhya Pradesh and obtained his Ph. D. at Vikram University, Ujjain Madhya Pradesh, India at the age of 25. During this period his research field was Biochemistry, Free Radical Biology, Toxicology and Stress Monitoring. He has devoted his life in Academic and Scientific research because of not having fulltime employment. Seventeen Research papers have been published in International, National Journals, Proceeding and in Book. Four Book published by Astral International; Sixty abstract in Souvenir/Abstract book. Seven Interdisciplinary academic article in Standard Magazine, Two Scientific talk broadcasted by All India Radio. Seventy four + Research paper presented in International and National Conferences/ Seminar/ Symposium as Invitee lecture and Delegates. After completing his Ph.D. he spent 2 years worked as a Scientist (R&D) in the Rank Industries Ltd., Nellore, in Andhra Pradesh State. During this service period his field was Pathological and Water Quality Assurance (Aquaculture). He was appointed as an Assistant Professor of Zoology at RBS College, Rajnagar, MP in 1998 and managed the College through a major transformation of its research and teaching. He played a major role in the design and construction of a new Fisheries Demonstration Centre at Godavari Estate, Nahdora-Khajuraho, India. In 2004 became the Guest Professor, in Higher Education Department, Government of Madhya Pradesh. For most of his career his research interests have focused on the Biodiversity, Environmental Impact Assessment and Bio-Resources Conservation. In 31 December, 2016 Joined as Officer, Information Technology, Maharaja Chhatrasal Bundelkhand University, Chhatarpur, MP with Responsibilities of Digital Financial Literacy Campaign, Research and Development, Cultural, UGC. Presently serving as Professor of Zoology & Deputy Registrar in Shri Krishna University, Chhatarpur, MP. His personal interests include Reading, Writing, Traveling and Photography. Dr. Ashwani is widely regarded as one of India’s foremost experts on Zoology & Environmental sciences. He awarded many prestigious awards by National and International institution. He is in editorial board member of Research Journals in India, America, United Kingdom, Egypt, France, Syria, Nepal and Japan. And he is an Advisor of Research Board of America, USA.